Join us for The Floyd Radio Show on Saturday, December 1, 2018 at 7:30 pm. Guests include Gap Civil Old Time Band, Amber Collins and more! Tickets are $12 in advance, $15 day of show. Gap Civil Old Time Band was formed in 2017 to play local square dances. But they have taken off from there and now play a variety of venues. 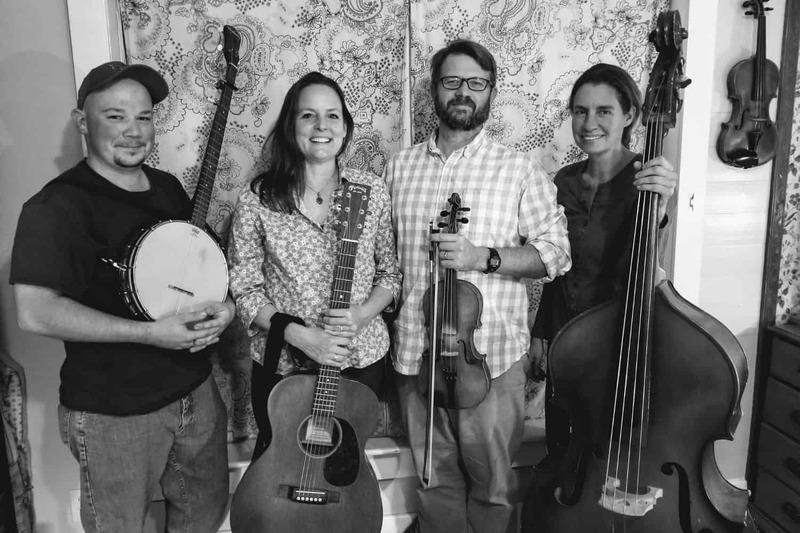 The band members are a line-up of experienced musicians including founder and fiddler Lucas Pasley, Caroline Beverley on guitar, Chris Johnson on banjo, and Iboya Pasley on bass. Gap Civil’s music is a mix between tradition old time, classic country, and original songs written by Carolina Beverley. Whether it’s a driving flat foot tune or a belt buckle shining two step, dancers everywhere love to take to the dance floor when Gap Civil starts up! The band loves playing for people that love music! 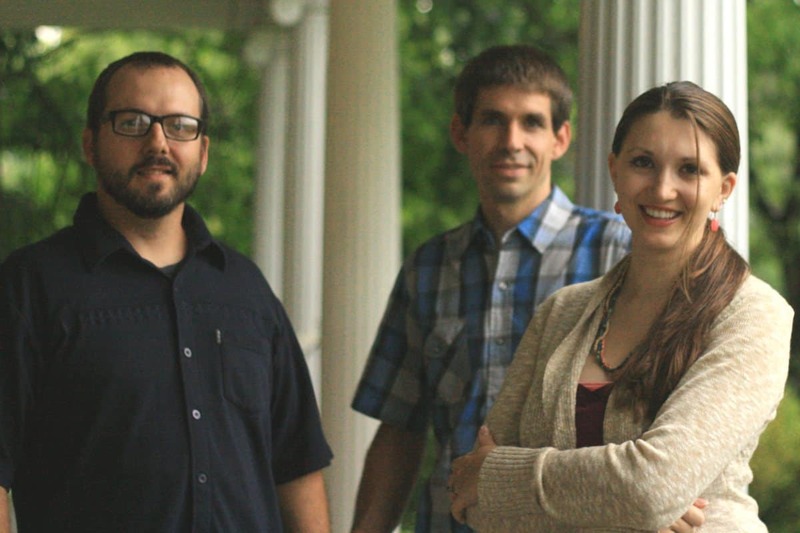 Trio including Amber Collins, Abe Goorsky and Scott Patrick, plays a wider variety of music including country, gospel, folk, Americana, bluegrass, and acoustic rock songs. They rely on strong songwriting, instrumental versatility and superb vocals to bring the music they love to a diverse audience. Amber Collins put the group together as a way to branch away from bluegrass, but it was more about exploring originality in songs no matter the genre. Whether it be an interesting back story on how the song was written or a heartfelt display of emotion singing it, Amber Collins focuses more on the song rather than individuality. Having a singer as dynamic as Amber, the versatility that Abe has on mandolin or guitar, and the songwriting passion that Scott carries with him, all on one stage with three part harmony, it creates a close and comfortable musical journey at each show. It’s like a private concert in your own living room!